Property 4: The eruption ended.. blue skys and the best weather in 20 years ! Property 8: Quite, A-frame log home. Nestled on 2 acres of fruit trees and flowers. Property 11: Paradise Found downtown Hilo in the country. Newly Remodeled ! Property 13: Beachside Kailua, Immaculate & Private 1 BR, stones throw to Kailua Beach! Property 16: Romantic tropical retreat, walk 150 yards to ocean. Property 17: The Bali House~Romantic Oceanfront Escape w/Hot Tub across from Kehena Beach! 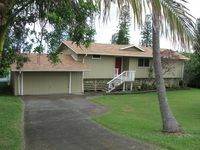 Property 18: Secluded Keaau House w/Hot Tub & Wraparound Porch! Property 22: Kekaha Beach Bungalow - FREE WIFI, Bikes and Boogie Boards! Property 24: Sweeping Ocean View! Newly built home! 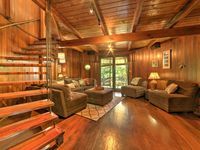 Property 26: Escape To The Lush, Green, Slopes Of Mauna Loa! Property 30: Expansive Ocean View - Close to Best Beaches Peaceful! 180 Degree Ocean View! Steps to Beach! from $159/Night + Fees! Property 31: 180 Degree Ocean View! Steps to Beach! from $159/Night + Fees! Property 35: Kailua-Kona Home w/View, Mins From Coffee Country! GROUND FLOOR! CLEAN AND SPACIOUS AT A GREAT PRICE. Property 40: GROUND FLOOR! CLEAN AND SPACIOUS AT A GREAT PRICE. Property 43: Tropical Cottage in Poipu Beach! Property 48: Plumeria Cottage steps from the beach! Property 50: Come Relax on the Lake! Kayaks and SUP included!!! we love the homey comfort of this home. Great great location for exploring the entire island. Then enjoy the quiet comfort at the end your day.